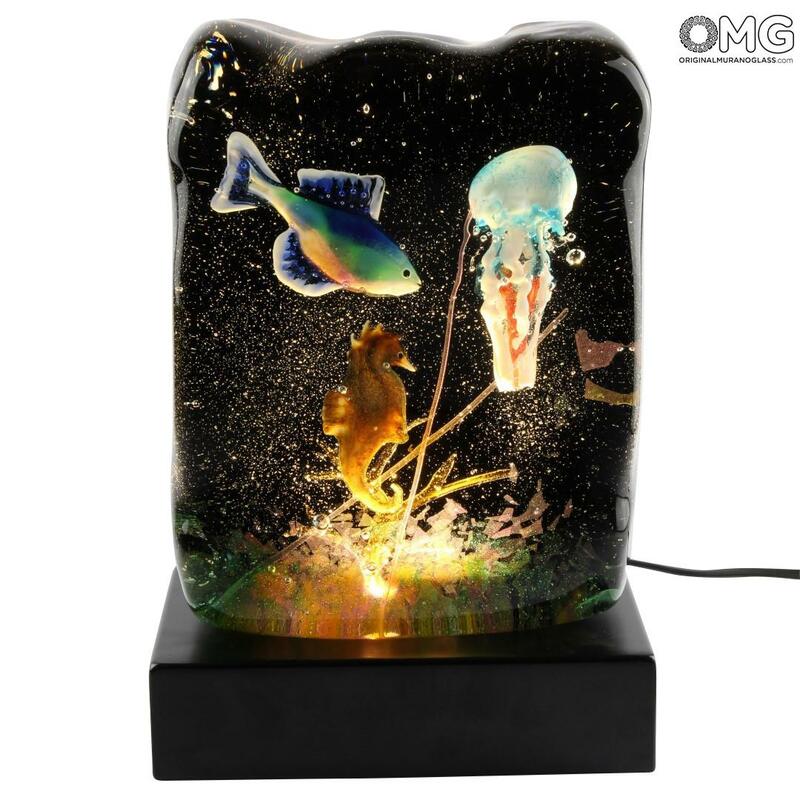 Luxury aquarium sculpture handmade with the famouse technique of glass Sommerso, realized in Murano Glass. It come with a led lamp to let it shine. Please see the relative photos. Really a stunning sculpture full of charm and elegance. With the led light turned on its even more marvellous. A fantastic piece of art perfect also as special gift.